Every once in a while, I will look at the many bookshelves in my house filled with books that have sat patiently unread for years (and seriously... many, many years) and be filled with a sense of panic. What am I doing borrowing all these books from the library when I have at least a couple hundred on my shelves that I haven't read yet? It makes me feel guilty and stressed out and pretty far behind. This past weekend, I did a shelf clean-up and got rid of a few dozen books that I really don't have any interest in reading any more. My tastes have changed, as you will see from the reviews below. I frankly no longer really care that much about Medieval England's religious struggles. class struggles, and gender roles. I really don't care that much about Medieval England at all. As various periods in English history have prominent placement on my bookshelves, this was a difficult lesson to learn and I don't know if I have fully come to terms with it. I think I am still a huge fan of 18th and 19th century British history. I am absolutely fascinated by the class struggles and gender roles in that era and how technological advancement impacted social norms and roles. At least, I think I am. But it's been quite a while since I read a book set in that era, too, so I don't quite know. Also, I read much more diversely now, and my bookshelves aren't very diverse. This makes it even more difficult to pull books from my shelves to read because I want to make sure I maintain a good balance in the diversity of the authors I read. 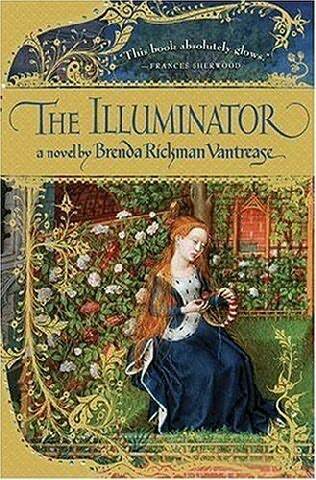 Based on the above, it's probably no surprise that I didn't finish The Illuminator, by Brenda Rickman Vantrease. I read it because it has been on my shelf for years (at least 8) and it was available on audio download at the library and I wanted to feel like I was making progress on my TBR. Not exactly the most promising of situations, so I apologize to the author. No one wants to be up against those odds! A widow is trying to care for her property and her family, even against the grain of society at the time. And then a man comes into her life and sets her heart racing and her mind thinking and complications ensue. And the man is an illuminator who transcribes the Bible (very prettily). And he transcribes other (Treasonous! Heretical!) things, too. Also, there's a mystery around the murder of a corrupt man of the cloth. Considering that I didn't really have much interest in reading this book, I actually found the story and the audiobook quite engaging. The characters are real and likable, though they felt very likable to my tastes. I get that there were dissenters throughout history that had progressive views, but I do think that you can make a character likable and powerful within the confines of their environment rather than always being the one person in a crowd who looks away from a hanging or thinks that servants are basically the same as rich people, except not as rich. Anyway, later on in the book, one of the main characters expresses very anti-Semitic viewpoints, so that took us right back to the 1300s. Or the 1940s, anyway. I think I just didn't finish reading this book because another one came up in my library audio queue that I really did want to read. And because, while I was interested in the story, I wasn't terribly engaged or excited by it. I didn't really care what happened next. Again, I think that is just because my reading tastes have changed. I can see 23-year-old Aarti being very into this book, and 23-year-old Aarti was pretty great, too, just different. So if you enjoy Medieval England and tales of religious dissent and the way people of different classes were treated in that period, I think you would really enjoy this one. 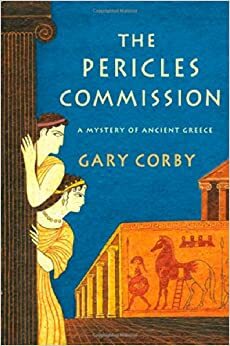 I distinctly remember reading a review of The Pericles Commission in a newspaper and noting it down because I was finished with the Marcus Didius Falco mystery series set in ancient Rome, and I thought that a mystery series set in ancient Greece would be a good fix. The Pericles Commission works very well as a Falco substitute. You have a private investigator who is middle-class and trying to make his way up in the world. He meets a beautiful and savvy young woman, totally ineligible for him, and the two become partners in crime-fighting. The guy has a pretty entertaining and fun family that we get to meet and spend time with (including a precocious younger brother named Socrates). And the author seems to know his stuff - you learn a lot about ancient Athens, from the geography to the historical figures to ancient laws and customs and much more. There's some humor, too, but if you are used to Lindsey Davis' quick-witted, self-deprecating, and completely lovable Marcus Didius Falco, it will be hard for Nicolaos to compare. The Pericles Commission was just what I needed. I had just finished Who We Be, which was an amazing book, but not exactly light reading. And people were rioting in the streets all over America over a grand jury's lack of indictment over the events in Ferguson, MO. Basically, I wanted a book that was fun and didn't require me to think very much. And, damning as that might be to the author, this book really fit the bill, and I enjoyed it for that reason. There are fun scenes here! And while sometimes the dialogue (both internal and external) and the clue-dropping (or red herring-dropping) can be clunky, that is to be expected from a first novel. I know that guilty feeling well! I think it's good to get rid of books you have no interest in at all, but I tend to keep the maybe ones. I figure they aren't doing any harm sitting on my shelf, and I'm not going to put myself under any pressure to read them. That's very healthy! Mostly, I don't mind having them on my shelves, but sometimes, I feel some pressure. I think I need to remember that I DO read books from my shelves and then get rid of them if I don't deem them keepers. So obviously, the shelf will always be full of either keepers or books I have not read yet. I like to think of it that if I was suddenly put under house arrest, I would have plenty to read. But I've been clearing off my bookshelves lately, mostly based on revising my notion of a need-to-own book. Also based on the realization that I actually HAVE plenty of storage space--it's just all in use to books. And I gave up on The Illuminator, too! It was years ago, but I had the same feeling--it was fine, but it didn't hold my attention, so when the library wanted it back, it went out of sight/out of mind. I'm glad I wasn't the only one! I think what bothers me about those books of the Middle Ages is how specifically discriminatory people were. One of the great comforts of blogging has been discovering how many us have overflowing TBR shelves! I know that feeling of panic - and I also feel guilt sometimes over the money I've spent on them. This past year I've weeded out some I bought because I felt I "should" read them (mainly classics) and some that just no longer sounded interesting. But I filled the shelves right back up again. Because blogging has also introduced me to so many new authors & reminded me of older ones. Often, now, I'll try to get audiobook versions of the ones on my TBR shelves and weed out that way. Such as with The Illuminator. I did the same - much more space available! Yes, exactly - it's hard to see how much you've changed! But at the same time, I think my reading tastes now are much more varied and diverse than they were before, and I would like my shelves to reflect THAT, too. I sometimes do the same thing: suddenly realize I've been carrying around a book for ages and ages, and I'm not going to read it, and even sometimes why did I buy it? lol So I have clean-outs every few years. I've also learned that when I finish a book, to decide if it's a rereadable one (back on the shelf) or not (give away). Not that this helps with the loads of books I've had for many years still waiting to be read! It's interesting how our tastes change too, isn't it, over the years? I read The Illuminator several years back - not sure if it would be a huge hit for me today, either. I'm definitely moving away from historicals. I've been getting more and more ruthless at culling my TBR shelves - it's just out of control, so I have very little patience anymore. About 10 pages, and if I'm not hooked it's a goner!